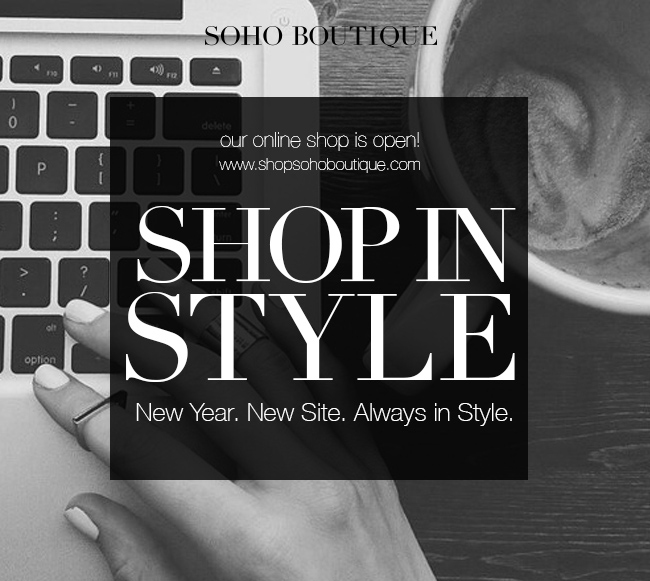 Soho Boutique Opens Online Shop! If you’re in need of timeless wardrobe staples, signature pieces, and women’s contemporary separates, dresses, shoes and more then look no further! You’re now able to shop the unique and savvy pieces from the Soho Boutique from your home. Owner, Amy Fessler, has launched a brand new online shop for the boutique, which features all of the designers and pieces that you can buy in the boutique. Check out the new online shop at www.shopsohoboutique.com!